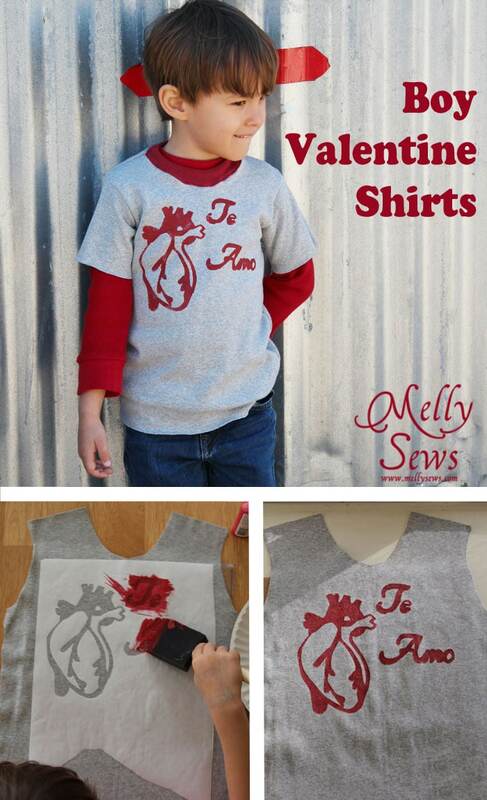 Today I’m going to share the tutorial and printable that I used to make this Valentine t-shirt. 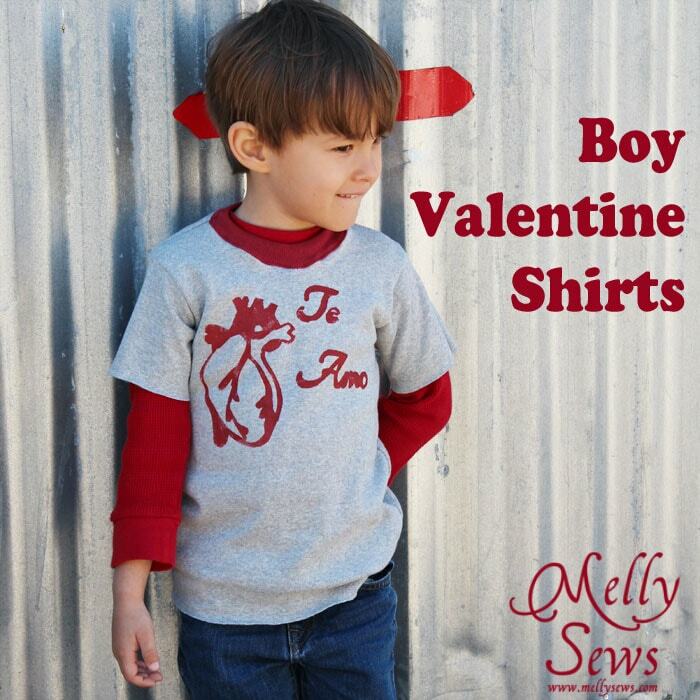 And it should go without saying that all kids (not just boys) can wear this; I called it a boy valentine shirt because 1) I have boys and 2) they don’t like traditional heart shapes. But you can make this for any person – even adults! – that might like to wear it. Please note that the below are affiliate links, so if you purchase through them I get a percentage of the sale that helps me support this site. Acrylic Craft Paint. This set has a good variety to start with, or you can buy single bottles at most craft stores. Paintbrush. I typically use the foam ones and dab the paint on. Textile Medium. 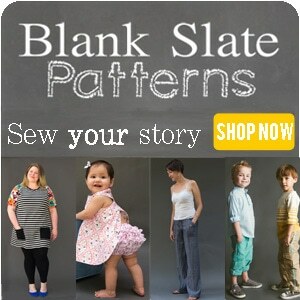 I have used the Anita’s brand as well as the Folk Art brand one. 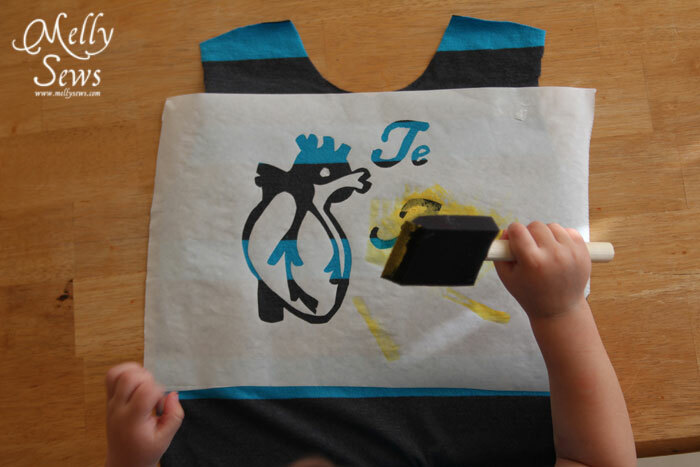 This is a totally simple way to decorate t-shirts when you don’t have screenprinting materials, and I know this is not the first, only, or probably even the best tutorial on freezer paper stenciling. The first step is to print the artwork. 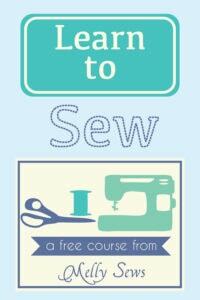 Put it on a surface that will be safe to use your X-acto knife on – I used my cutting mat. Tape a piece of freezer paper over it, waxy side down. 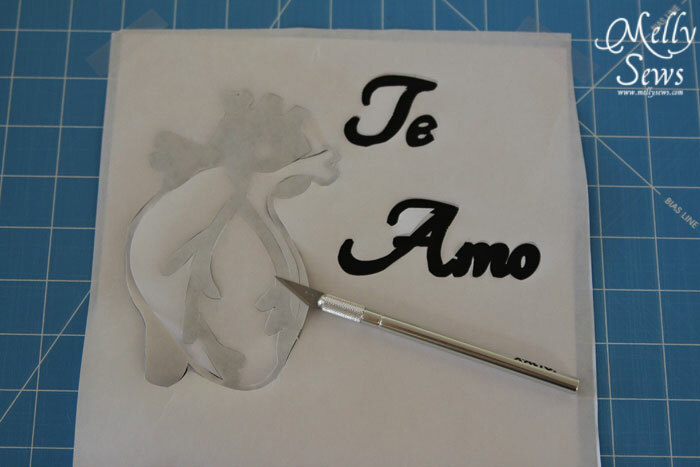 Use your X-acto knife to carve the artwork and create the stencil. 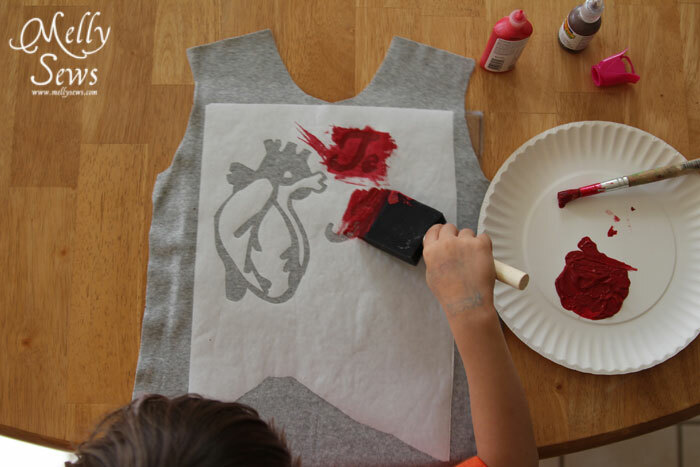 Iron your stencil onto your shirt. Note that with this particular stencil, there are a few parts you will have totally cut out of the heart in the center, and the center of the “e” “A” and “o” in the words that you will have to iron back on in the right places. Tweezers can be helpful to place the paper, an I use the point of the iron to iron these in place. 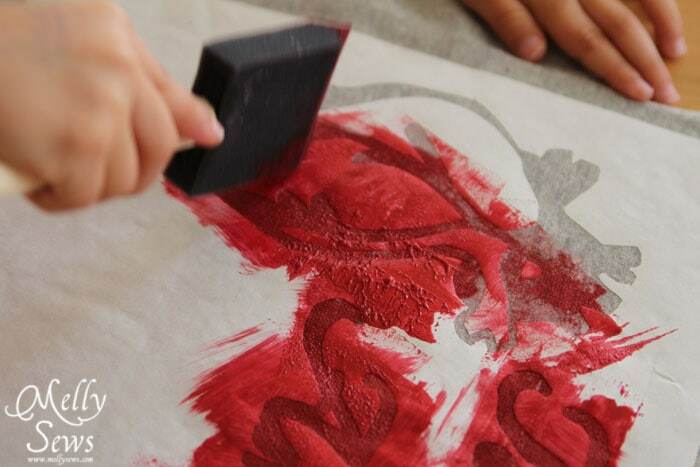 Then use fabric paint and a brush to paint your design. I let my boys do this under close supervision. Let the paint dry a little but not totally – if it gets too dry it may be hard to peel the freezer paper off. Then peel off the freezer paper and put your t-shirt somewhere safe to dry fully. To sew your shirt together, follow the instructions in this post. 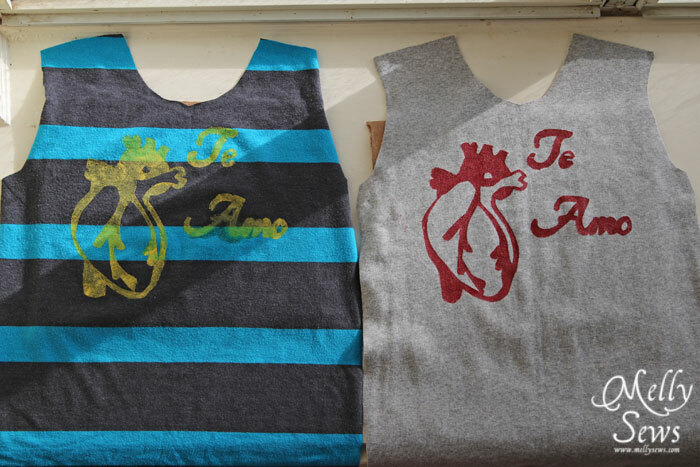 Very nice boyish valentines t shirt and being Puerto Rican, i love the spanish, so you hit a home run with me. I usually screenprint but occasionally use freezer paper. I might give this one a try. Thanks u for sharing. 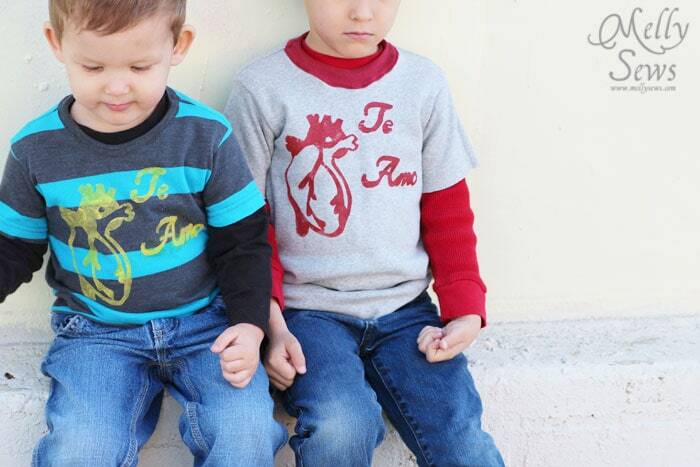 so cute and perfect for a boy! going to try it now….